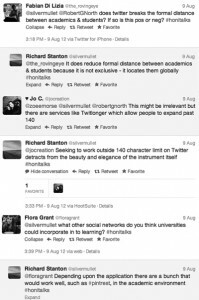 Educators are always looking for new ways to reach their students, and University of Sydney lecturer, Dr Richard Stanton, is hoping to do so 140 characters at a time. 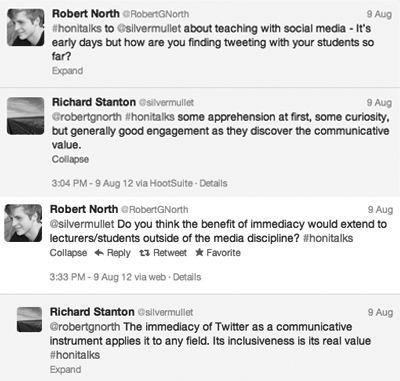 The Web 2.0-savvy lecturer is using Twitter as the main form of out-of-lecture communication in his undergraduate media relations course, providing his students with relevant links and information conveniently organised under a hashtag. While in previous years Dr Stanton has used Twitter alongside more traditional modes of communication, he said that the Blackboard Learning System is too static in his experience. 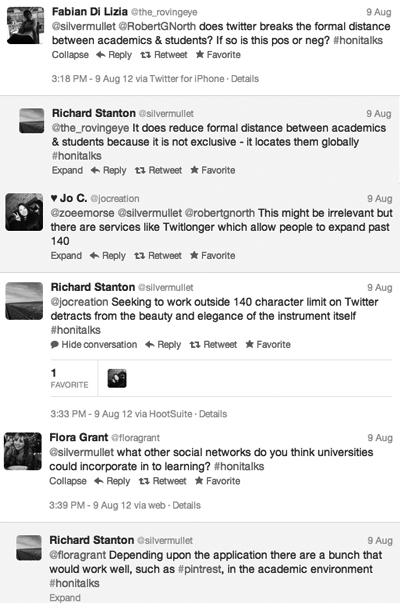 Last week we interviewed Dr Stanton (@silvermullet) via Twitter, with readers using the hashtag #honitalks to ask questions and comment. “I started using it 2 connect students to issues & ideas. 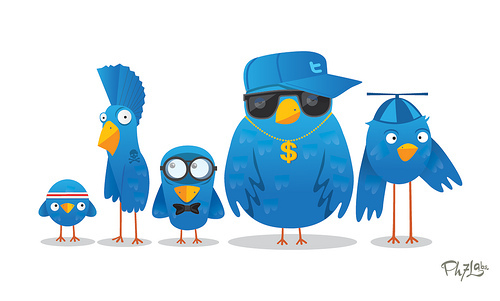 It gradually became the preferred communicative instrument” he tweeted. For Dr Stantons’ media relations students there’s an obvious benefit – it’s improving their media literacy, and helping them to become more familiar with a platform which is becoming increasingly important to all aspects of the media landscape. Needless to say, social media has fundamentally changed the way we think about communication. 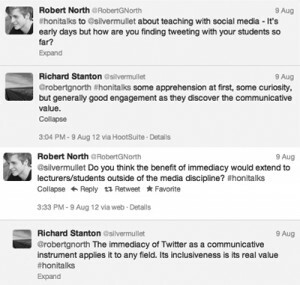 It should come as no surprise that social media’s communicative value is being appreciated by a number of educators and students alike, and is reshaping the ways in which students are learning. Last semester, students of ‘Introduction to Sociology 1’ found themselves engaging with social media as an integral part of their coursework. In keeping his students abreast of 21st century society, unit coordinator and lecturer Dr Salvatore Barbones produced YouTube videos to keep students aware of lecture themes, required reading and assessment tasks. Rather than pumping out the standard academic essays, Dr Barbones’ first year sociology students created and shared their own videos over YouTube and promoted them over Twitter and other social networks. These days everyone is jumping online and connecting with their fellow students via Facebook. From engineering to architecture, degree and subject specific Facebook groups are perhaps the best way to engage with fellow students and share information. But an incident earlier this year involving first year Juris Doctor students should serve as a cautionary tale to all students using social networks such as Facebook. It was suggested that the students verged on the edge of collusion while discussing an assessment on the Facebook group page. Students were warned in their lectures by the unit coordinator, as well as on the Facebook page by a Sydney University Law Society representative. While in this case no-one was formally accused of collusion, many students continue to use Facebook to discuss ideas and coursework in a similar manner. For better or worse, university lecturers and students are taking advantage of social media platforms. The benefits are clear – immediacy and persistence – but as with all things in life, it’s a case of measuring up the potential risks versus rewards. See more tweets from the interview.